March is Women's History Month, and March 8th is International Working Women's Day. This year, women all over the world will demonstrate, strike, and continue to organize to highlight the struggles of women around the world. "At a very basic level, there is an understanding that the problems experienced by women in our societies today are rooted in an economic system that privileges the 1 percent over the 99 percent and that sometimes we think of women’s issues unto themselves, but really these are issues that arise out of an inherently unequal economic arrangement in this country. The fact that women make less, that women don’t have access to childcare provisions, that women don’t have access to reproductive healthcare. They are not just economic questions, but they are related to an economic arrangement that relies on the free labor of women to, in fact, reproduce itself as a political system." 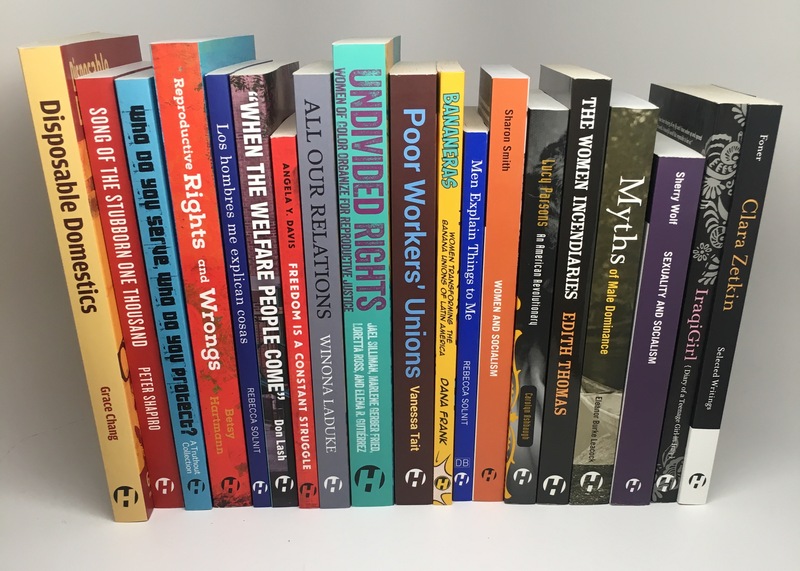 In solidarity with the Women's Strike and beyond, Haymarket Books offers a reading guide for those looking for the history, politics, and inspiration, to learn from past struggles for women's liberation, and to participate in the many struggles to come.